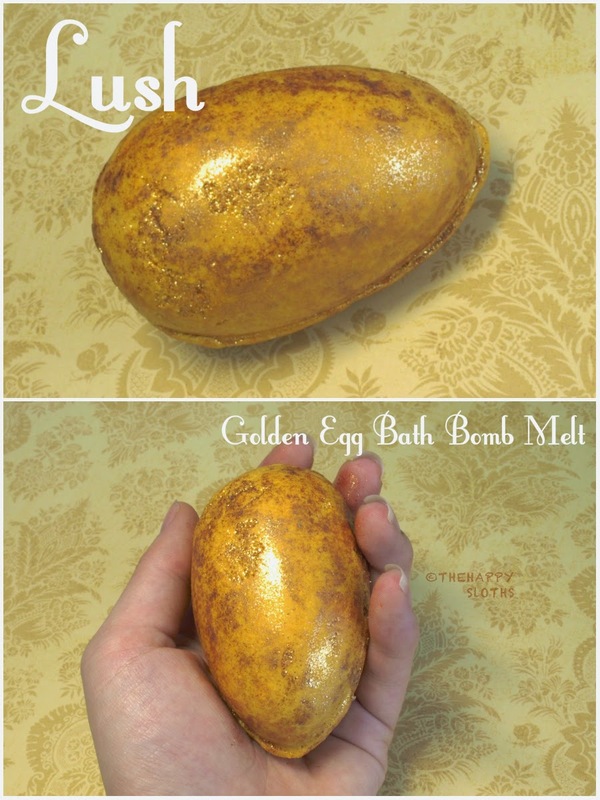 The beautiful Golden Egg is goose-egg sized and it's covered with a layer of fine golden glitter. The outer casing of the egg is made of cocoa butter and the inside of it is the fizzy bath bomb. Simply drop the egg into the bath while the hot water is still running. Lush says this shares the same scent as the Honey I Washed the Kids soap but I definitely think it has a more citrusy scent. I pick up some of the honey toffee scent but the citrus takes the reins. The egg turned my bath water a light shade of sparkly (from the glitter) lime, I was totally mesmerized by the shimmer! The oils and butter of the egg made my skin feel very soft and smooth. And the scent is really refreshing and calming at the same time. The egg made some bubbles and left no mess in the tub afterward. This one is definitely a winner! I hope Lush makes this a permanent product. 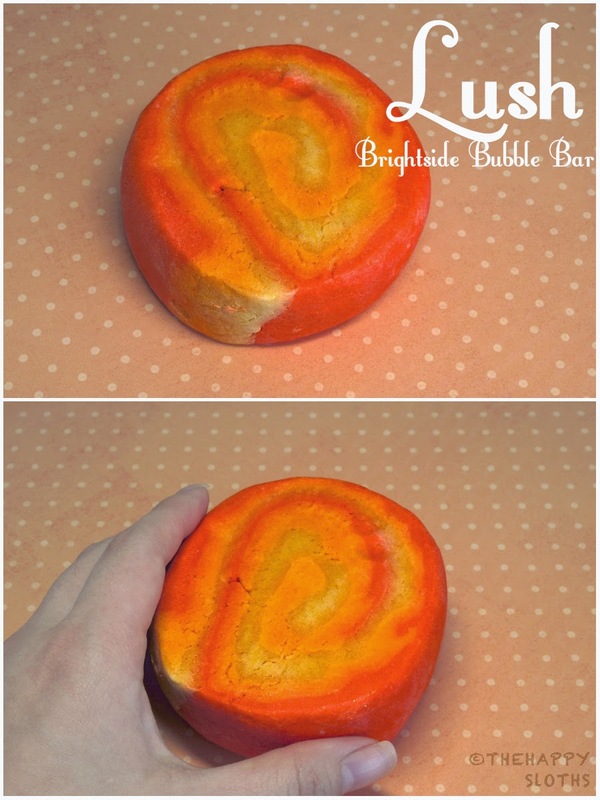 This hefty bubble bar has an orange and yellow swirl design, kind of like a swiss cake roll. Crumble the bar and drop half of it into the bath while the hot water is still running. One bar is good for two baths or one mega bubble bath. The Brightside Bubble Bar has a very refreshing and zingy citrus scent. This bar turns the bath a bright shade of orange and it gives plenty of bubbles to play with! It fills the whole bathroom with a warm orange scent that's surprisingly calming. It was no wonder that this was brought back from last year's Easter release, it's definitely a great bubble bar. 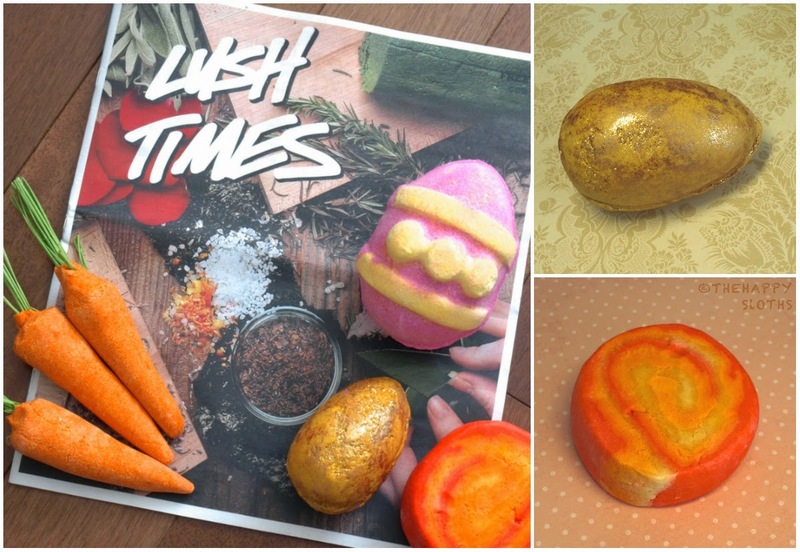 So there you have it, part two of my Lush Easter collection reviews (part one here). What will you be picking up from the collection? Let me know in the comments below! Availability: Easter items are available online and in stores starting March 24th, so get them before they are gone!